The Urbanists were appointed by Transport for Wales (TfW) / Welsh Government to refine plans that had already been prepared for station enhancements to Radyr and Llandaff stations in north Cardiff. Our role was to work alongside TfW's engineering advisors, Mott Macdonald, and Network Rail’s engineers, WSP, to review the options for enhancing schemes that had already been tendered, to determine how they might be enhanced. 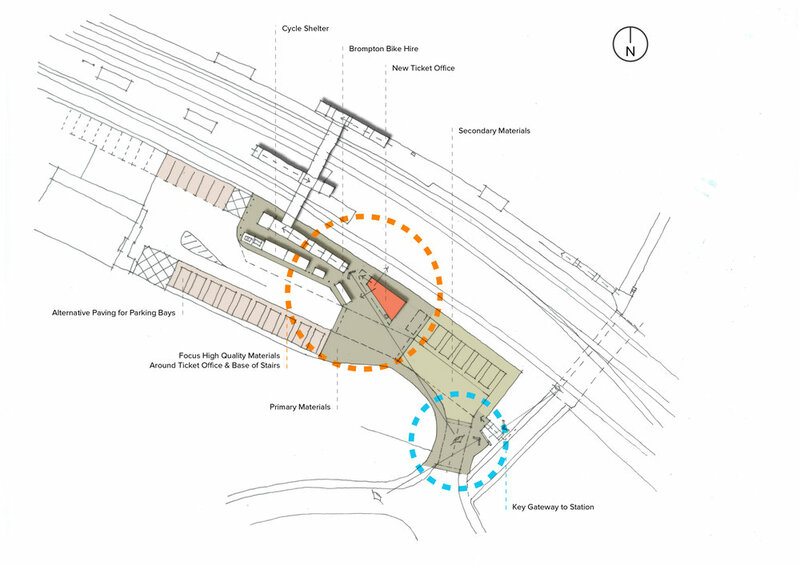 We reviewed the context of both sites and developed a palette of materials, range of street furniture and equipment and worked alongside Network Rail and their engineers to refine the proposals. The enhanced works have fully incorporated our designs for waiting shelters and a new ticket office. Our aim was to depart from a standardised approach and develop a design language which added Welsh vernacular and carefully considered materials to the tendered scheme. The impact has been to raise the standard of what was originally conceived for the station, as a precursor to investment from Metro and the new Wales & Borders Rail Franchise.